Sister Eucharia Madueke, SNDdeN, was born in Nigeria and is a member of the Sisters of Notre Dame de Namur. 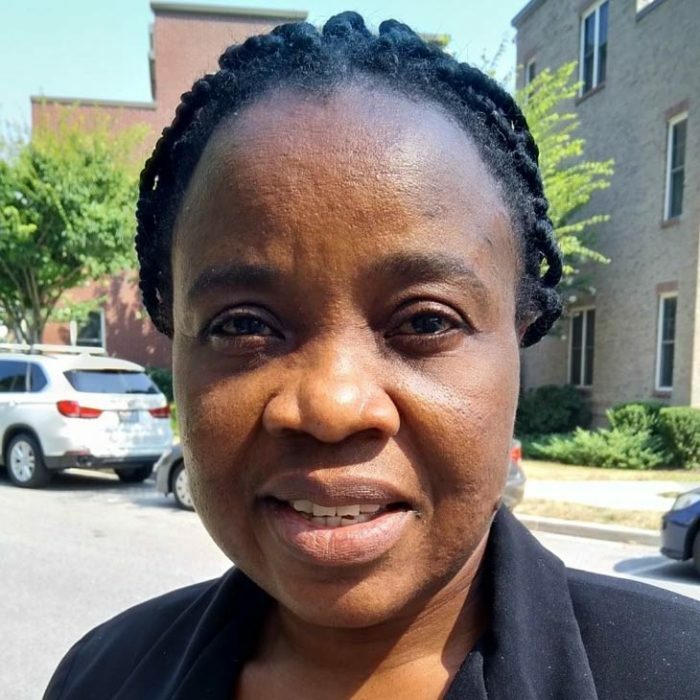 She has worked as an Organizational Assistant at NETWORK and currently heads the Africa Faith and Justice Network Women’s Project, mobilizing African Sisters to engage in justice issues. Since coming to the USA, she has received an MSW in Social Work with a concentration in Social Justice and Social Change from the Catholic University of America. She graduated with a PhD in Development and Public Policy focusing on African Studies from Howard University in 2016. While at Howard, Eucharia taught a course on Introduction to Contemporary Africa.